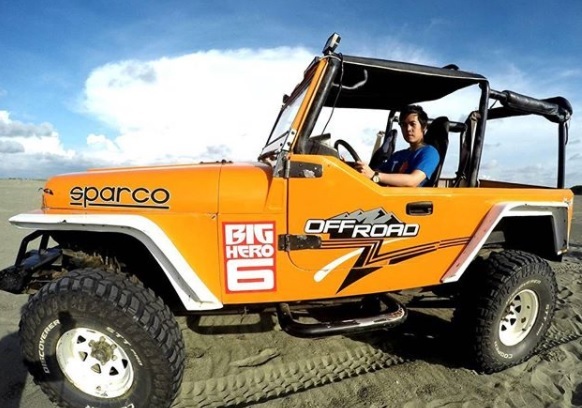 I’ve been wanting to experience adventures in Ilocos ever since. Why? It has everything you want to see. From land to sea name it they have it all. 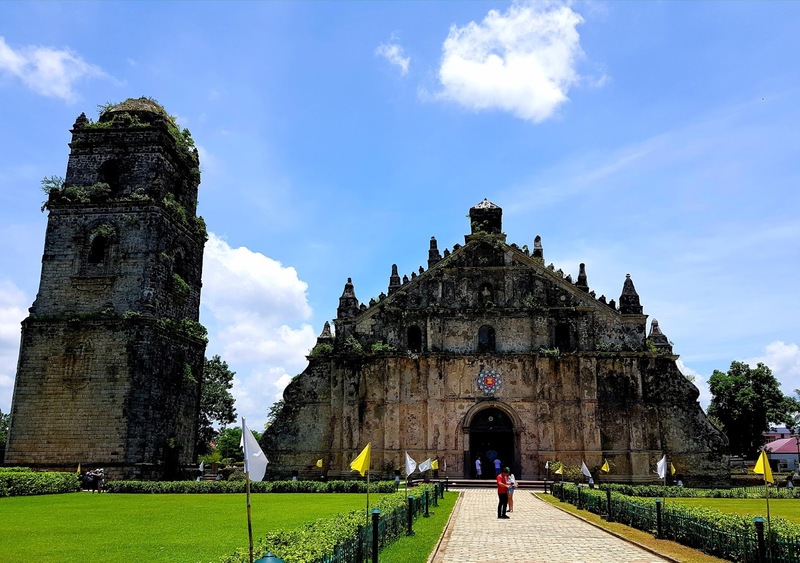 From museums to old churches and delicacies…I tried to book for a tour last year, unfortunately, they were not accepting a solo joiner due to its minimum number of joiners should be at least two. Not my destined to travel in 2016, yet. However, things have changed this year. I’ve got solo travels and they were amazing. 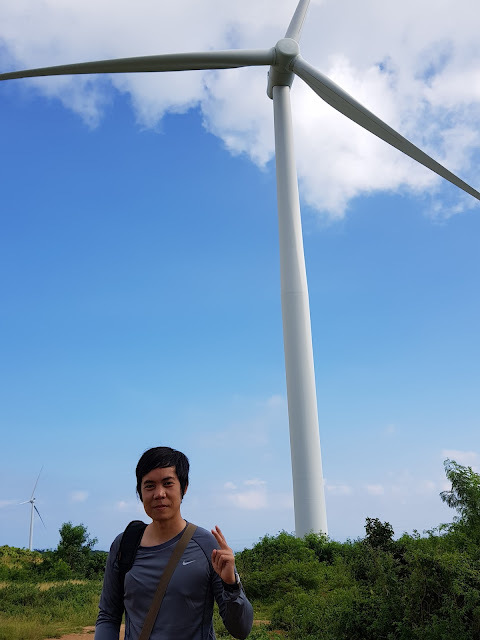 One of them is in Ilocos and I was with awesome group – couples and family. 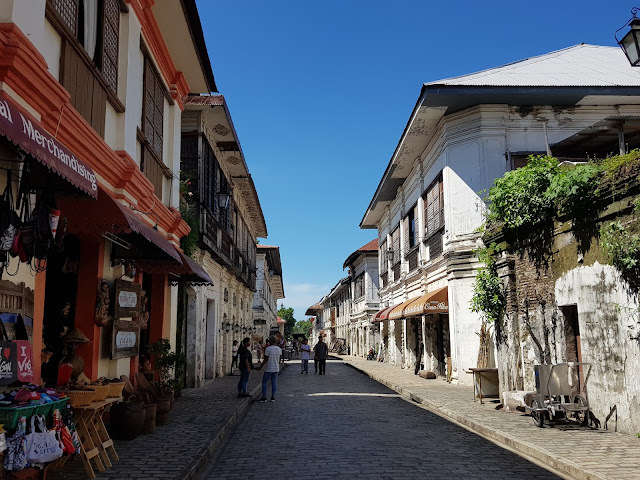 I would highly recommend Ilocos to everyone. In complete package, whoever you are and what ever walks of life you have, Ilocos should be in your bucket list. 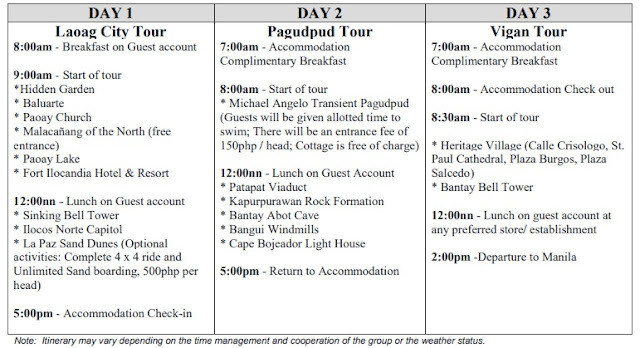 As noted, time and order of itinerary may change depending on the weather situation and necessities of tour. First, you have to reserve a slot depending on how many people are going. Each passenger costs 300 pesos (this will be deducted of the total expenses once you fully pay the amount). Most likely, the remaining balance will be paid one week before the tour but this will be adjusted depending on your negotiation (you can pay the whole amount during departure). What I did was, I paid 300 pesos for reservation through BPI transfer (they have other bank accounts and other payment options) and then I got a confirmed travel voucher on the same day. 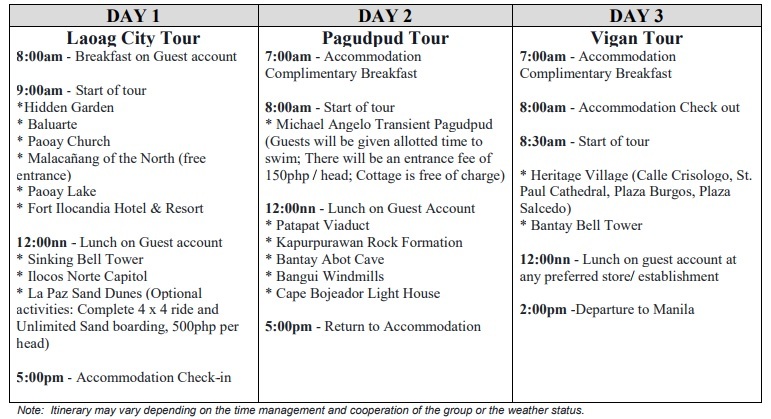 A week before departure, I transferred 3,200php and that includes for transportation, tours and accommodation for 3 days and 2 nights. For a solo joiner 3,500 pesos with a solo room with free breakfast, I guess it’s already cheap in my opinion. 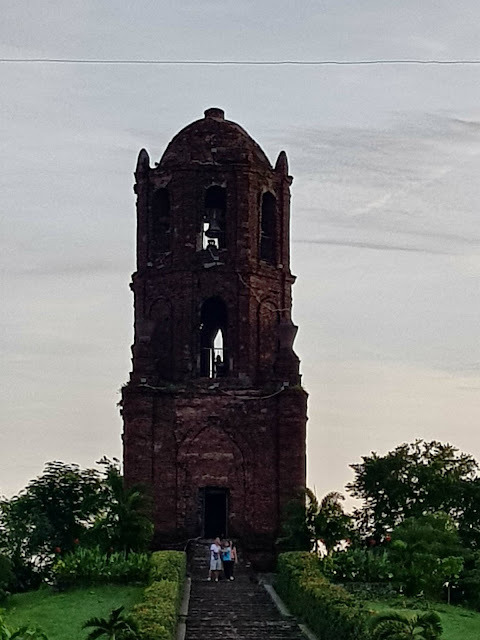 There are lots of interesting places to see and more tourist destinations to explore in Ilocos Norte and Ilocos Sur! For me, it’s already wow and great deal travel package! Contact me if you want to reach out the travel agency. I might be able to help you haggle if you travel by group. But, if you travel solo, it usually departs every Thursday night and a little difference of amount compared to group joiners.